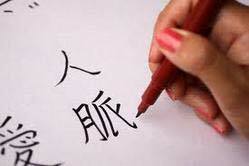 We are a credible Japanese Language Translation Service Provider from New Delhi (India). We are offering language translation services for various languages like. These services are offered by trained professionals, who have the knowledge about the technical fields. They can easily check or cross check the text for any grammatical or spelling mistake and can give a professional look to the document. Our services are rendered for business letter, business proposals, business forms translation, advertising and marketing translation, medical letter translation, story translation, technical text translation, website translation, and E-mail translation etc.